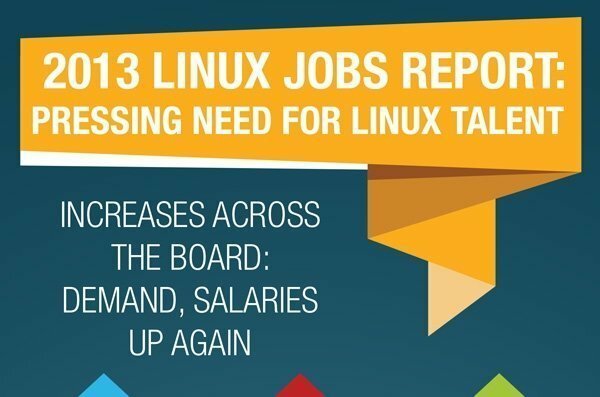 Linux jobs are in high demand for another year, and there are just not enough seasoned Linux admins to fill the spots available, according to The Linux Jobs Report from Dice.com and The Linux Foundation. Click for full image. Infographic from The Linux Foundation. Creative Commons License 3.0. That’s good news for experienced IT staff looking for a change. If you have expertise in Linux, then the only trouble you’ll have is narrowing down which positions you find interesting. According to the report, these job seekers are in a position to settle for nothing but the best. The report cites money, work/life balance and flexible hours as the top of the “wants” list. Luckily for job-seekers, companies are putting their money where their jobs are and are offering higher salaries than many other tech jobs. Plus, those already high salaries increased on average by 9% from 2012, says the report. Now seems like an appropriate time to mention that Red Hat Enterprise Linux 6.4 just came out with several new features, just in time for Linux pros who wanted to put more on their resume. Anyone else want to go back to school right now?